Enough is enough. 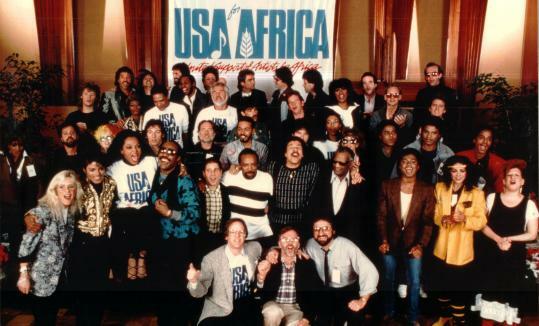 Another ‘We are the World for Africa’ or ‘Live Aid’ jamboree courtesy of the singer turned humanitarian activist, Bob Geldof to commemorate thirty years of Ethiopian famine. Thirty years ago, before Nelson Mandela became the first black president of South, before Nigeria became the largest economy in Africa, even before the current economic miracle in Ethiopia there was a disaster on a biblical proportion that took place in northern Ethiopia. Yes, it was a man-made famine in the horn of Africa culminated by war and food blockage similar to Biafra‘s tragedy. Once again the proposed ‘Live Aid 30’ by Bob Geldof and his gang will geared towards the news dominated Ebola disease in West African nations of Sierra Leone, Liberia and Guinea. The continuous focus on Africa for aid may have outlived its usefulness. It has certainly commence to conjure and reinforce old stereotypes about Africa - as a strange land of primitive natives that have not adjusted to the modern world, always stepping out their bare hands for a handout from masterly strangers. Although the disaster that took place in northern Ethiopian was not in the entire country but it was projected as an African famine and the whole continent has been stigmatized. The image of Africa is being decimated with overwhelming projection of Africa as a hopeless continent that cannot do anything for itself. But the reality is that there is a new Africa. It is no more news that African economy is vibrant and bustling, the seven out of the ten fastest growing economies of the world are in Africa. The World Bank and IMF projected Africa to grow above 5 percent in 2014/15. The promotion of image of aid and dependency is not what Africa needs. Such a projection may discourage investments and recalled the image of Africa as land of losers and inactive individuals. 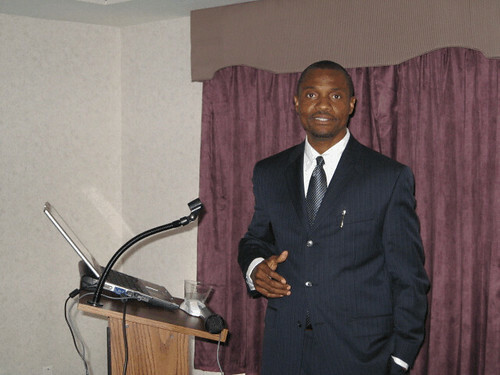 “Africa is the world's most natural-resources-rich continent. It has 50 percent of the world's gold, most of the world's diamonds and chromium, 90 percent of the cobalt, 40 percent of the world's potential hydroelectric power, 65 percent of the manganese, and millions of acres of untilled farmland, as well as other natural resources,” as conservative writer Walter Williams reminded us of African greatness. The illegal transfer of African funds to off shore banking centers and IMF‘s structural adjustment programs have done more harm to African wellbeing and stability, but nobody is gathering any musicians to sing about them because such pressing problems deviates from the cultivated stereotype of Africa. “Geldof, the lead singer of the Boomtown Rats, sprung to global prominence with his role in Band Aid to raise money for the Ethiopian famine. The single sold nearly 12 million copies; the Live Aid concerts raised £150m. For these efforts Geldof received an honorary knighthood and was elevated to a spokesman for African development,” as written by Dr Greg Mills, the head of the Johannesburg-based Brenthurst Foundation in theguardian newspaper. The point to be made is not that Ethiopians or Africans for that matter were not grateful, but to elevate a humanitarian activist to an African economic expert is quite a stretch. In 2014 the Ebola disease in Sierra Leone, Liberia and Guinea do not need gathering of musicians from Britain to put a limelight on it. The whole from United States to Spain and between countries have already recognized that Ebola is a global threat and not just an African problem. Moreover, what are needed in these three West African countries are not necessarily monetary but technical know-how; essentially, medical human resources especially medical doctors and nurses. Many countries and individual around the world are rising to challenge of making contributions. Many African countries including Nigeria and Ethiopia are making contributions to Ebola infested countries. African Union reported that “The Federal Democratic Republic of Ethiopia has answered to the appeal made by the African Union Commission Chairperson, H.E. Dr. Nkosazana Dlamini Zuma last week to Member States to urgently contribute human resources to the fight against Ebola in West Africa. “Just recently, the African Union announced that African nations have pledged 1,600 health workers, with 600 coming from Nigeria and ($3.5 million). Ethiopia has committed 200 volunteers and pledged $500,000 to help the affected countries. The DRC, which has been affected by Ebola before, has promised 1,000 volunteers. The United States, the World Bank, and the International Monetary Fund have committed $500 million, $400 million, and $130 million respectively. In addition, private foundations and donors like Paul Allen, Mark Zuckerberg, Gates Foundation, and Open Society Foundations have allocated millions of dollars to Ebola. And while Africans themselves for the most part were inconspicuous from the response efforts, some of Africa’s richest, billionaires, Aliko Dangote and Tony Elumelu from Nigeria and Patrice Motsepe from South Africa recently pledged funds towards the fight against Ebola, “as reported by Forbes Magazine. Currently, Africa is not advocating aid but trade as engine of economic development. If Geldof wants to help Africa, let him organize a summit of Investment for Africa. He can gather his musician friends and they will entertain investors in the summit. But to continue to project Africa as an endless needy basket case may be self-defeating of his intention for aiding Africa. Read 8501 times	| Like this? Tweet it to your followers!